Hanging out with a legit MDiv – MA in Counseling, Family therapist is always enlightening. It’s not always comfortable to be tinkering under my skullcap…but it’s always insightful. The subject of parenting tweens came up…. so naturally my work with iShine, pastoring and parenthood. I explained how iShine focuses on reaching pre-teens with a message of Value -Identity and Purpose (VIP) before their 13th b-day. I noted multiple studies with stats on establishing that what a kid believes by 13 is what they believe for life. He soberly nodded and then shared this wasn’t only true in the spiritual and social aspects of person, but in their psychological and emotional make up as well. Noting that his marriage counseling sessions seemed to primarily focus on parents who were struggling with their own repeated turbulent life cycles with a common thread of “complex trauma” and emotional baggage that re-defined their understanding of not only God but of their “self”. He connected the dot for me… that most if not all of those marriage and relational adult issues came from events in their tween years and formed the basis for the addictive and destructive psychological conditions in his counseling practice. I asked him… what’s THE most common issue adults within the world of Christianity struggle with… His response… a very toxic emotion called SHAME. It finally occurred to me that reaching tweens by the age of 13 was not only about helping them find the truth within our Christian heritage of faith, but also understanding the truth about themselves and the truth about the nature of their heavenly father. After all… if what a 13 year old believed about global warming and Islam was an issue, how critical is it for that same kid to grasp the truth about the nature of sin – guilt and SHAME and the power of the cross to deliver them from all that ! So… parents, pastors and friends, teachers – educators and homeschooling momma’s, can we be sure to add the topic of SHAME to what we teach and tell about God and the truly good news of our Gospel. That our personal forgiveness is not a one time option, to experience or extend, but a lifetime habit to develop! SHAME is at the top of the list for TOXIC beliefs that rob us of life. Talking with the professional therapist, I realized how poorly the church traditionally responds to a Christian’s humanity in the context of life “after” conversion. It’s more dangerous than awkward to discuss your personal struggles in most churches, knowing that if you do…the mutterings will begin and your personal relationships will end. So we eventually get wise, move on and rarely if ever dare to do so again. Leaves a vacuum in the psyche of our souls as to the nature of shame and pain and God’s acceptance of us as we actually are…and that empty space can get full of every kind of lie and half truth the pit of hell can fill it with. Starting at 13 and going right up to the point where we run away from faith and never – ever turn back to try again. Parents, it’s essential to be intentional with our pre-teens about their faith and beliefs …but I believe it’s even more valuable to be intentional with our kids to explain and show them about true forgiveness. To talk openly about the humanity of an authentic Christian who “struggles” with their faith, learning and growing through their mistakes and mis-steps, always trusting, always hoping, always believing that God is able when we’re not. This is a critical insight for our kids, it’s essential for them to see us move past our SHAME and focus on God’s grace and not just our sin. After all…if our faith can’t save us as we are…. what good is it? You hear the horrific stories of 12-13-14 year olds who take their own lives as a last resort from being bullied. Overwhelmed and devastated by the shame, hate & ridicule of their classmates. Seems extreme until you factor in the 24/7/365 nature of technology and a new tween culture of instant communication and social development. Strange days indeed…. A friend of mine at iShine is Spencer Kane (Ft. Wayne IN) who struggled with his own abuse as a tween and used it to turn his life into a positive direction with music and sports, helping other kids who feel… displaced, isolated and alone. His first EP was just released and titled “Be one of the Kind” in a direct attempt to throw troubled and bullied kids a life line and to challenge other kids to be more aware of their own actions impact on others. Spencer is one of the good guys, as a sophomore in High School he gets it and if your tween is struggling, make sure you check out his encouraging music, testimony and support for families struggling with Cyber-bullies. Bottom line, if you have a tween – ask them about cyber-bullies. Don’t assume because they haven’t talked openly about it, they are not struggling with it. Remember as our kids make the unavoidable hormonal – identity challenging transition from child to adult, they are more at risk than ever. Cyber Bullying is not a new fad, it’s a new tech-generation danger that parents need to add to the list of “real threats” to protect their kids from. I have copy/pasted the recent blog from CommonSenseMedia.org below on the subject of bullying and ask that you take the time to read it or share it with someone you know who might need it. Join the movement to end bullying by sparking kindness and compassion at an early age. October is National Bullying Prevention Month, an effort led by The PACER Center to raise awareness of bullying prevention through events, activities, outreach, and education. That — and the recent death of teenagers like Rebecca Sedwick — force us to take a hard look at what’s happening with our kids, not only on the playground but at home, on the computer, on mobile devices, and everywhere else they’re turning to connect with their peers. Check out the resources below for guidance, tools, and even entertainment to help teach kids to be kind, prepared, and proactive in changing the landscape. It’s up to all of us. What are some signs that your own kid is cyberbullying? When should you get involved? We’ve answered Parents’ Top 10 Cyberbullying Questions. Teachers and administrators can address important topics like cyberbullying in an age-appropriate way with our free K-12 digital-citizenship curriculum. Surprise! The same digital tools that kids can use for cyberbullying also can be instruments for good. 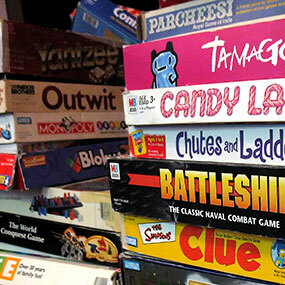 Check out these Apps and Games to Spark Kindness and Compassion. Teaching kids empathy is one of the most important jobs of being a parent. These great books for all ages will help make it easier. They celebrate friendship, difference, and the importance of caring for one another. We hope you’ll share these resources with others who care about kids. Popular culture has a nasty way of changing us and our kids without even asking our parental consent. So how does a family with traditional values maintain some kind of conservative view on sexuality, life and faith? It’s clear we have to risk rejection from both sides if we dare to suggest a middle way in our Politically correct society…after all we could get caught in between , criticized by everyone. What parent or family would dare to stand against either extreme… how can we seek to refute a gospel of moral relativity and not hate those who live differently than we do? Won’t we risk the ire of our super conservative Christian cousins…AND the Politically correct if we don’t pick one of the clearly defined sides? Christians don’t have to retreat and stoop to become the hate filled, angry and coldly critical conservative stereotypes of previous generations. We don’t have to condemn every man-woman or child who comes anywhere near a left wing political position. Attacking their actions and ignoring their hearts & lives as if their individual beliefs have no value and deserve no respect because they might choose to vote Democratic in the next election. As a parent, I’m VERY careful to make sure my kids are aware of the need for respect and love in every confrontation. To model for them, how to disagree with others in a way that does not require intellectual revenge or the forming an offense for life. So many men and women of faith have gnarly knee-jerk reactions towards alternative lifestyles, “re-acting” with anger and condemnation towards anyone who challenges the traditional Judeo-Christian world view. Let’s stop doing that! Our faith and values have survived for over five thousand years… I think they can handle a little scrutiny. Let’s consider the bible itself as a point of reference for those of us who are navigating the rapidly changing tides of popular opinion AND seeking to raise families with a healthy balance of rejecting sin and learning to love and embrace an ancient faith. 1- Listen (stop running around with your head cut off) – pause, reflect and consider what God is saying to us as parents on the topics of the day. Ask Him to provide wisdom and insight into the BEST way to train up and lead your kids in the ways of faith. 2- Remember (don’t allow today to overshadow your yesterdays) – God (Yahweh, Jehovah – Jesus) is faithful. He can’t help but remain faithful to us and to man. His Character demands it, and God is not an option for us to consider. God is God. His ways are not our ways and His purposes are sure, steadfast… never going to fail kind of things. Important to keep in mind when popular culture suggests otherwise. 3- Watch and Wait ( God never responds exactly as we would like…but He does respond) Waiting on God to give direction, clarity and conviction as to how you should instruct and teach your kids is a critical part of growing our faith as parents. Remember that God will deliver, God will keep His promises. God NEVER fails. His salvation is continually changing lives, Jesus as the ultimate illustration of the point. Invite Jesus into whatever life circumstance, tribulation or injustice you have and watch as God redeems it. Today, my kids are in college and high-school and are very aware of the moral contrasts between our home and the one outside our door… what I hope to have provided them is a biblical context to interpret those values and filter them through scripture for a more accurate and compassionate view of the lives and people they will encounter. Trusting our actions will speak much louder than our words, today’s Christian families MUST show the world what they believe…in their actions and attitudes, with much less emphasis on what we say. After all…the world and our kids are watching! Tween’s online… Parents, more than just Facebook to keep up with! Parents checking Facebook are seeing only the tip of the iceberg. Katherine Rosman on Lunch Break looks at all the other places where kids go online and how new groups are teaching them to better navigate this world. Photo: KidzVuz.com. Playground is a site where school kids can learn Internet literacy. Last week, 20 companies pitched online and mobile products for kids in Pasadena, Calif., at the 6th annual Digital Kids Conference. This summer, Microsoft and Scholastic will help sponsor the first Digital Family Summit in Philadelphia. Scholastic will preview a new version of Storia, an interactive e-reading application aimed at kids ages 3 to 14. “As kids migrate more to devices, we don’t want to be left out,” says Deborah Forte, president of Scholastic Media. FahsionPlaytes.com Kids flock to sites such as FashionPlaytes.com, for girls interested in designing clothes. KidzVuz is a social media start-up aimed at teaching kids how to create content at an early age. Kids create a profile with a handle (say, “GossipGirl”) but no name, and parents have to approve the account. Kids then create video reviews of books, films, food and clothes. There is no private messaging, and comments are actively monitored for nastiness. 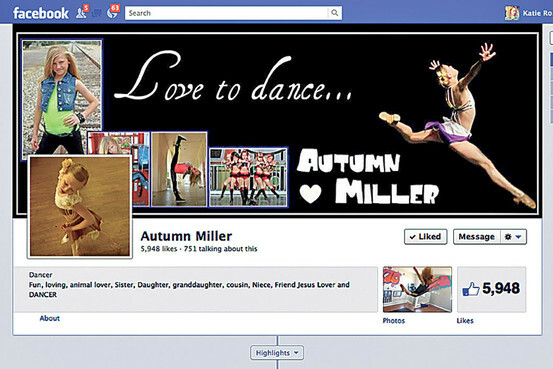 Autumn Miller, a 10-year-old, has nearly 6,000 people following her Facebook fanpage postings. Faith King, a 9-year-old third grader in Red Bank, N.J., says since she starting posting video reviews to KidzVuz, she has learned important lessons of film production. “You need to make sure the lights are on so people can see you,” she says. She also has learned to focus on interesting content. “Don’t review a dictionary,” she advises. Her mother, Cristie Ritz-King, says her daughter’s love of the site has prompted many conversations about the importance of being skeptical about strangers online and questioning the accuracy of information. She wants her daughter to learn early on to be agile with social media. “It’s never going away,” she says. Alexa Ashley, 14, is on Instagram. The University of Southern California’s Annenberg Innovation Lab has created “Playground,” a social platform for school-age students. The idea is for kids to learn how to create Internet content—and to consider the implications of privacy, the permanence of a Web footprint, the basics of brand building and a little about online manners. Educators need to teach Internet literacy at an early age, says Erin Reilly, Playground’s creator. “Kids are always going to find a back door for communication and collaboration,” she says. 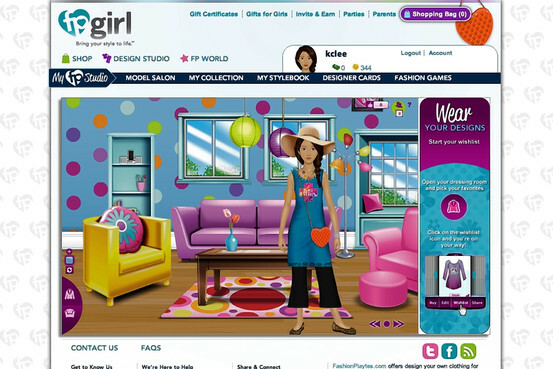 Along with established social sites for kids, such as Walt Disney Club Penguin, kids are flocking to newer sites such as FashionPlaytes.com, a meeting place aimed at girls ages 5 to 12 who are interested in designing clothes, and Everloop, a social network for kids under the age of 13. Viddy, a video-sharing site which functions similarly to Instagram, is becoming more popular with kids and teenagers as well. On KidzVuz, a new social media site, there is no private messaging and comments are actively monitored. • KidzVuz. Social-media site where kids create video reviews of books, ﬁlms, food and clothes. • Instagram. 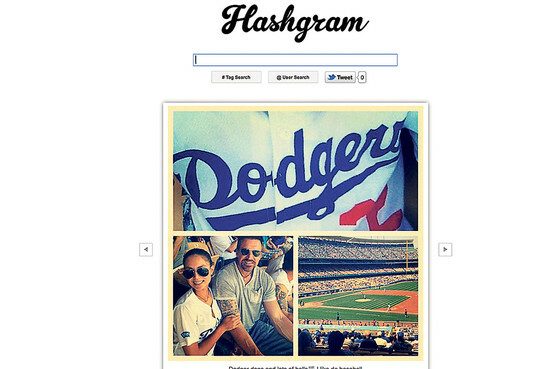 Photo-sharing app being acquired by Facebook. Some kids worry it will lose its cool. • Viddy. What Instagram is to photos, Viddy is to video. Tweens say their friends are ﬂocking to it. • Playground. A site intended to teach kids how to create and be responsible with social media. • Club Penguin. Disney-owned site with safety controls embedded in its technology. Kids can connect and chat but only type certain words and phrases. • FashionPlaytes.com. Girls ages 5 to 12 meet here to talk fashion. Site lets them design and order custom-made garments. A version of this article appeared May 2, 2012, on page D1 in some U.S. editions of The Wall Street Journal, with the headline: Tweens’ Secret Lives Online. Looking for Hope in all the wrong places…? Feeling down lately ? Just weary of all the recent despair and disaster news, looking…longing for some good, uplifting and encouraging news to re-energize your day? Are you looking for Hope in all the wrong places ? This morning on my way to work I heard on Fox News and MSN about a mother in the New York area who drove her mini-van with three of her four kids intentionally into the Hudson River and drowned them all. The sadness, the madness, the absolute desperation of life to bring her to take such an act over any other option… brought me to tears. I considered numbly… how much despair and hopelessness must have been relentlessly building up in her until she having found no other solution, chose death over life. Millions struggle from a lack of hope, and desperately try to find it where-ever they can. Some believe in the vision of our government, or in the value of the stock market or in personal relationships, careers or even their body size. They anxiously look forward to a better day, a brighter future the elusive end of the rainbow is the grand vision of their lives… but if that hope ever really, seriously fades.., it gets dark and fast. When we truly lose our belief in a happier tomorrow, what then? Who or where can we turn to for Hope? Its clear this tragic young mother “Felt” she had no one or nothing to live for and she assumed her kids future would be as bleak as her own. As an extreme act, her behavior is likely linked to her mental and chemical health and a hundred other things, but it serves to illustrates the point. The irony is… in the midst of taking the time to look and help and love those who are fading in our own back yards… we actually regain our own personal hope and purpose and spark for life. So in serving others we are refreshed, in giving of ourselves… we are blessed and in the outward gaze of our eye we forget the pain and worry and sadness that looms over us and we replace its darkness with the light of genuine life and love and HOPE. So, my encouragement to myself and to you is this… look around you( brad)…What about the single parent waitress with two jobs and no sleep ? Or maybe the dad who can’t seem to find enough time to work and eat and pay the mortgage, let alone love his family ? or the Pastor or fellow parent who always volunteers and never gets a break for themselves, or the lonely in your world who just never seem to find a friend ? CAUTION: Don’t do this as a project, or a plan for personal growth, PLEASE NO ! Don’t do this as an “outreach” for someone to join your church, or to donate to a club or be in on your multi-level marketing business. Do it because you choose to. No strings attached, no hidden agenda’s and no angle. In doing so, you will find incredible changes not only in their hearts, but your own. It’s been perfectly planned by the one who knew of these truths the best. Jesus the Christ. He spent a lifetime stopping to help the blind, the broken, the sick and the sad. He embraced the unlovely and touched the un-touchable, He shared freely what he had with others and he modeled for all of us the secret to finding Hope. It’s not as far as you think it is, and it’s not as complicated as we make it. To find out more on this… check out the Gospel of John in the Bible. Or download a daily free reading from www.dailyaudiobible.com today. It’s time we stop looking for hope from those who have none, and start sharing the hope we have so we can increase our own. In doing so, we model for our kids the path of life and we restore hope, and purpose and life in our own families. What could be more amazing than that ? For those of you with pre-teens, the bible is a huge struggle for their attention, check out www.ishinelive.com for ideas and resources to help you bring Hope back into your home.